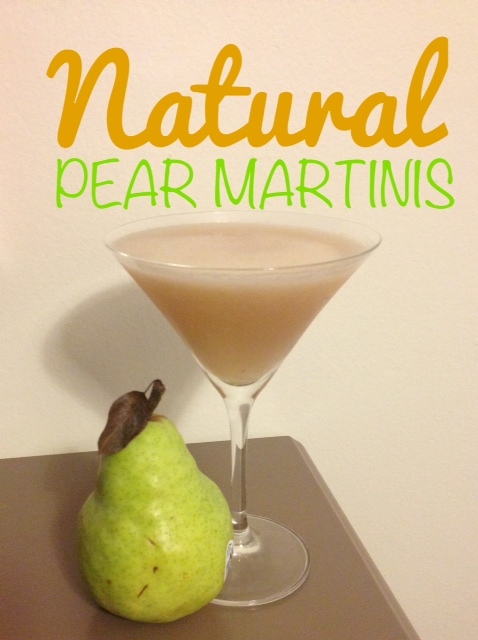 Natural Pear Martini – from an unlikely source! I love a good cocktail, and while I’ve had to put my enjoyment of cocktails on hold for the better part of a year on account of squishy baby P, J and I have just gotten back to being able to enjoy a little homemade drink here and there. Since I was sure that any amount of hard alcohol would actually kill me after such a long drinking hiatus, lol I stuck to my occasional glass of wine for a while, but after having a martini while we were home for a visit (and not dying, yay! 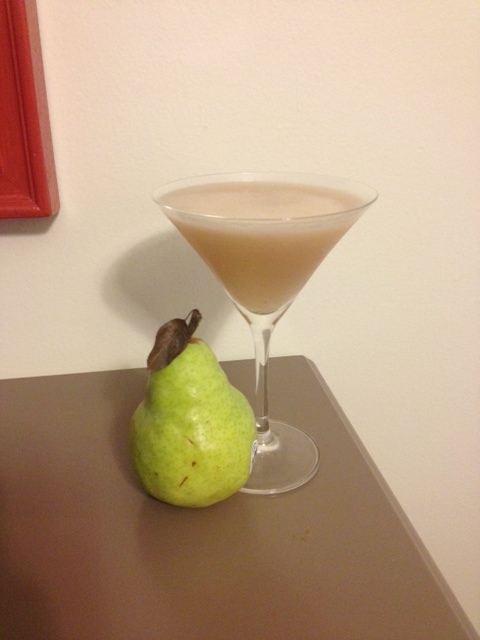 lol) I decided that I really would like to try to make a homemade version of one of my favorites – a pear martini (without the $12/drink price tag)! 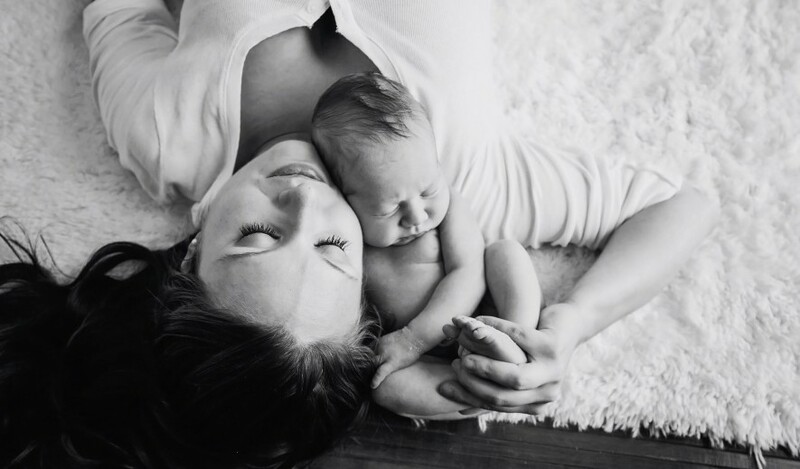 Now, back to baby P, this is where the unlikely source for my recipe comes in – one of the star ingredients is actually baby P’s homemade baby food (questionably bad mother or genius? you decided, lol)! 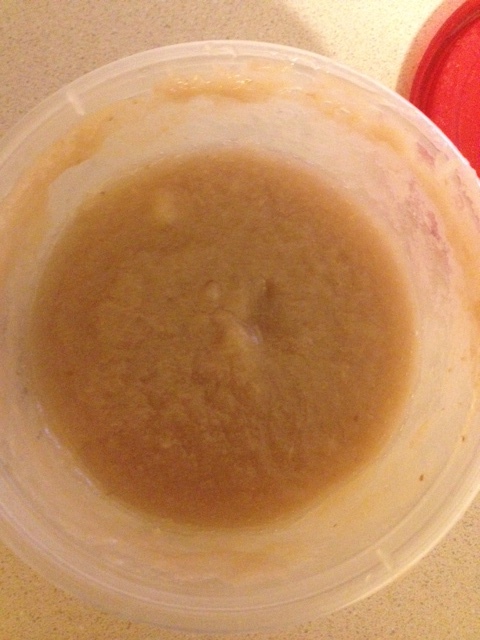 Since I love to cook and I take the time to fix homemade meals for my hubby and I, I figured that I would be doing my squishy baby a disservice if I didn’t do the same for him, so ever since I started him on solids at six months, I have been making his baby food from scratch. Now, I know this can be time consuming and I don’t necessarily save boatloads of money by doing this, so I don’t knock anyone that buys jar food or anything (do yo thang girlll!) but I genuinely enjoy preparing little P’s food and I have the time to do it, so why not? 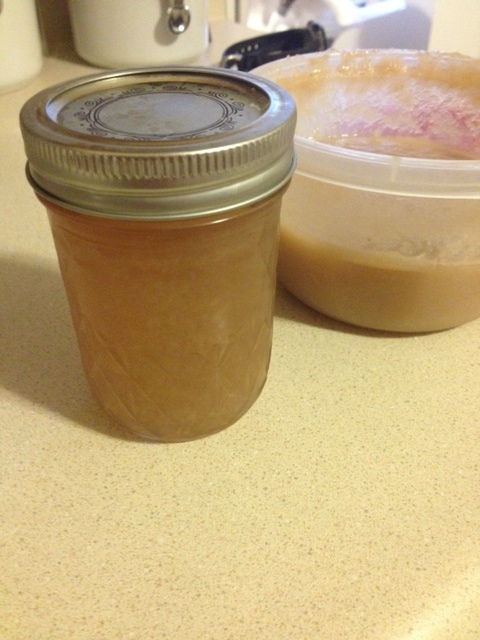 Since the beginning, one of his favorite foods have been pears so I have whipped up several batches of homemade “pear sauce” (recipe below) using my slow cooker – so easy! So when reading over an over-priced cocktail menu while having a date with my hubby while we were home and seeing that one of the ingredients in the pear martini was “pear puree” I thought, “oh hey now, I’ve got some of that”! In just a second I will stop boring you with my lame stories about baby food and few-and-far-between date nights, lol. First let me tell you that this martini came out amazing and without using any weird ingredients like “elderflower liqueur”, which if you Google “pear martini recipe” is actually called for in most (and FYI it’s $32.99 for the bottle and you will probably need to use less than an ounce, no thanks!). I think it’s also worth mentioning that I’m not sure if you can deem a cocktail “natural” unless you buy one of those organic vodkas so this might not be a 100% “natural” recipe as I claim it to be but other than the vodka there is no added sugar or processed ingredients. Also, if martinis aren’t your thing I’m sure you could find a use for use for the delicious pear sauce, even if you don’t have a baby in need of purees :). Cheers! Begin by peeling, coring and dicing your pears and placing them in the slow cooker with 1/2 cup of water. Cook on high for 4 hours. When cooking is complete remove the pears with a slotted spoon and place in a blender or food processor (I use my nutribullet) don’t discard the liquid from the slow cooker, this is part of the next recipe. I know this puree looks wildly unappetizing lol, but I promise it’s delish! The pear juice that I collected after the cooking process, works perfectly as a natural simple syrup and it’s already pear flavored! Combine vodka, pear juice and pear puree in a shaker with ice. Shake vigorously for a few seconds and strain between two martini glasses. Top off with seltzer or lemon-lime soda. TA-DA! I was too excited by the drink to actually garnish it with a pear slice, but look how cute this pear is with the leaf still attached!